Many businesses take orders internationally, and the best way to help more customers navigate your site is to create a multilingual site. Providing content in multiple languages also helps to increase your search engine position in other languages so that international customers can find your business in the first place! While there are many web developers who can create a website or an online store in one language, reaching customers in more than one language can require specialist help from an experienced programmer who is able to set up the specific infrastructure required to create a smooth and seamless multilingual experience for your users. I've developed several multilingual websites, from simple promotional sites to fully database-driven content systems, and can analyse your needs appropriately to deliver the right solution. 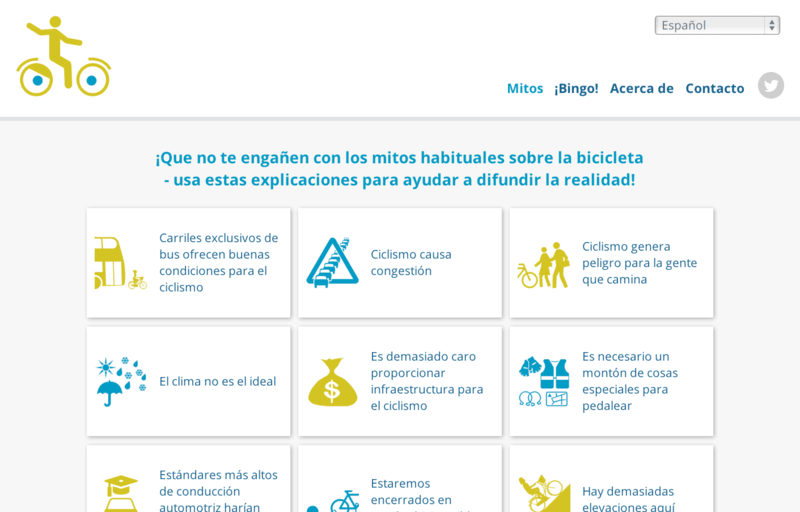 The best example of my multilingual work is Cycling Fallacies, designed from the ground up to handle design and content in any number of languages. The site features automatic determination of which language to show a new visitor, persistence of content when switching languages, and multilingual automatic PDF generation. The system is easy to manage, with separate accounts for each translator, who is restricted to editing only the languages assigned to them. For translators, logging in and writing translations is easy, with read-only access to the other languages to translate from. The site template text is also easy for translators to edit, so new languages can be easily added. Translators can concentrate on their task, while they don't have to wrestle with an unfriendly interface. So for some clear advice – or even some klare Beratung – get in touch.